Introducing Freak Shakes for National Ice Cream Month! Happy National Ice Cream Month! Here at Baskin-Robbins, we are celebrating our favorite month of the year with not only special mobile app offers, but by introducing Freak Shakes to participating shops nationwide through July 31st. Freak Shakes take Baskin-Robbins’ new Sundae Shakes to a whole new level and give guests a fun way to shake up National Ice Cream Month. 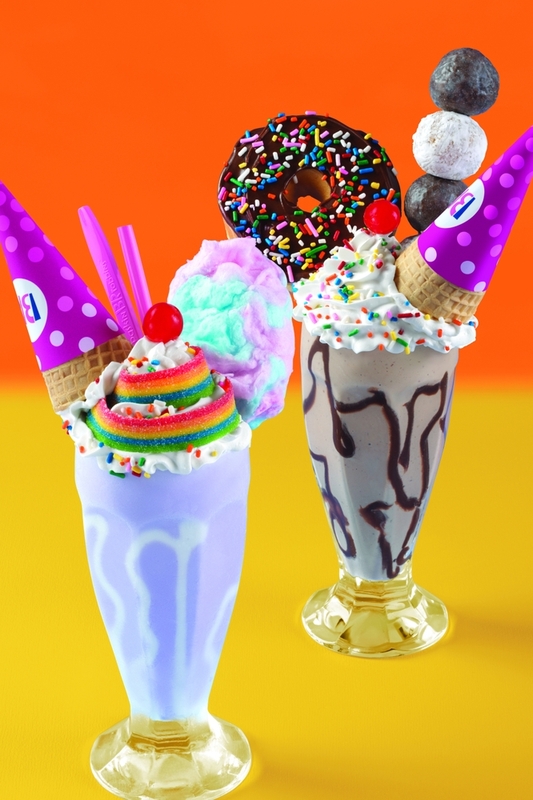 These trendy Freak Shakes will be available in three hero varieties including the Unicorn Freak Shake, OREO® ‘n Cookies Freak Shake* and Donut Shop Freak Shake. Check out the below video for more details on these insta-worthy treats! 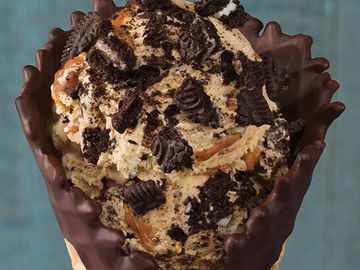 To make National Ice Cream Day (Sunday, July 15) even sweeter, guests who download the Baskin-Robbins Mobile App will receive exclusive offers, like a BOGO Cone offer a BOGO 99-cent sundae offer and $2 off a medium Milkshake offer**. Baskin-Robbins will also be ending National Ice Cream Month on a sweet note with its Celebrate 31 promotion. On Tuesday, July 31, all regular and kid-sized scoops will be just $1.50***. 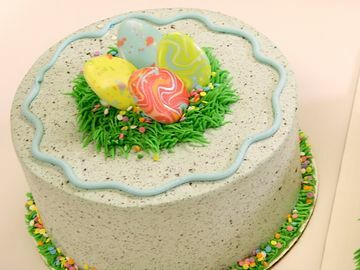 All of these offers can be enjoyed with any Baskin-Robbins ice cream flavor, including the Flavor of the Month OREO® ‘n Cake, or a seasonal favorite like America’s Birthday Cake, which is a pink, white and blue ice cream featuring strawberry and cake flavored ice creams with blue whipped cream flavored swirl. Also available at Baskin-Robbins locations this summer is Blackberry Hibiscus! This ice cream is perfect for summer with a refreshingly indulgent flavor featuring a blackberry ice cream swirled with blackberry hibiscus ice all wrapped with a blackberry ribbon. Blackberry Hibiscus even won second place for most innovative flavor from the International Dairy Foods Association. 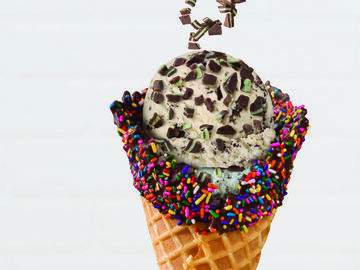 How will you celebrate National Ice Cream Month with Baskin-Robbins? Let us know on Facebook, Twitter, and Instagram! *** Offer valid on July 31st. Participation and offers may vary. Scoop offer good on every size scoop. All listed flavors are optional amongst Baskin-Robbins' stores. Waffle cones and toppings are extra. Cannot be combined with other offers. Plus applicable tax.